A sculptor from Dalian, China, Wu’s work uses traditional Chinese brick sculpture, stage set, and medieval high relief to create fantastically ornate sculptures reminiscent of the intricate architectural structures of his native China. Learning how to paint and draw from the age of seven, Wu went on to study sculpture at the China Academy of Art in Hangzhou Wu graduated with a BFA degree. Eager to jump into the New York art scene, Wu later completed his MFA degree in Sculpture at New York Academy of Art. 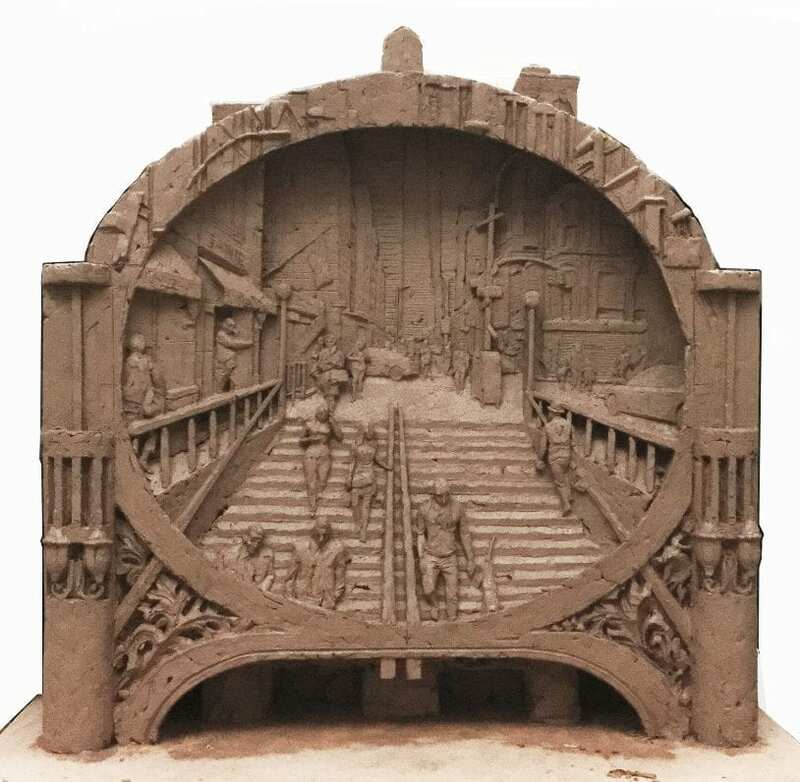 During his time in New York, Wu has created beautiful reliefs of the New York City subways, depicting the oft-chaotic daily lives of subway riders in the city. HIs detailed sculptures depict the anxious and sometimes claustrophobic struggle of riding public transit in one of the largest cities in the world. 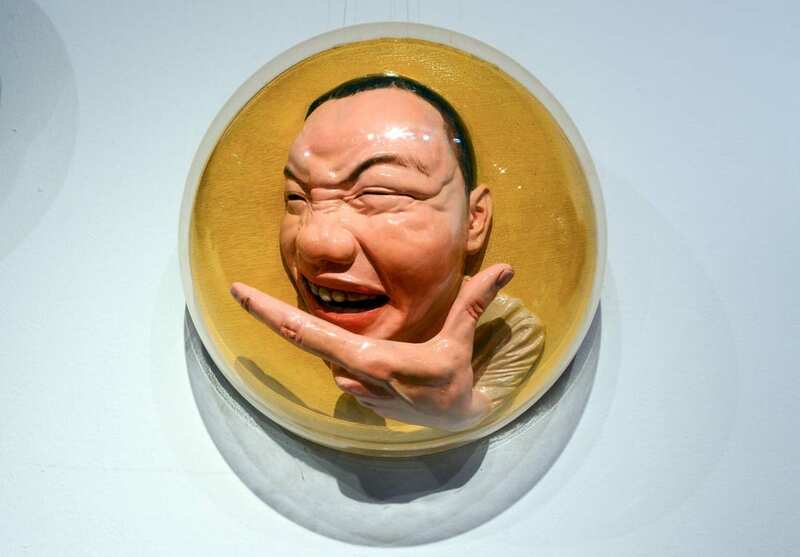 Wu is also known for his selfie sculptures, which highlight the rising popularity of selfie culture while also critiquing it through unflattering angles and facial expressions, highlighting a sense of self-absorption in modern society. For his work, Wu has been awarded multiple awards; he is the winner of the 2017 Dexter Jones Award, winner of the MFA National Competition, and winner of the Compleat Sculptor Award 2016. Wu sat down with Artrepreneur to discuss his aspirations, career trajectory, and the value of showcasing your work both online and in live exhibition opportunities. ” SELFIE-XIANDA”(2014) captures a raw element of the selfie. Image provided by the artist. Jiannan Wu: I was born in Dalian, a northern coastal city in China. My father is talented at drawing and always drew at home. I admired him a lot when I was a kid. Thus, I started to pick up the pencil and draw. I liked to draw cars and cartoon figures. When I turned six years old, I started to learn drawing systematically at fine art school. My middle school, high school, and university experience are all in fine arts schools and academies. Art is a thing what I have been doing for my life so far. Jiannan Wu: Among many things, the sense of achievement is the most motivating reason for me to be an artist. To be more specific, that is the sense of achievement I feel from the completion of the art piece, from other people’s recognition, and from bringing joyfulness to people through my works. Jiannan Wu: New York is the heart of the art world where the most talented and outstanding artists gathering. New York also provides numerous opportunities for emerging artists like me. I came to New York to study my MFA degree at first, and after graduation, I’m continuing to practice here. The intricate details in Jiannan’s Subway carving show a unifying tension that brings New Yorkers together. Image provided by the artist. Jiannan Wu: At this current stage, “New York Subway” and “Selfie” are two main themes of my creation. First, I try to tell stories about people’s daily life and the city in a narrative way through my “New York Subways” series. I chose subway as the background scene because it is an interesting place where almost all kinds of people would sit together in the same carriage. They may come from different cultures, different races, and a different hierarchy, and head for different destinations. Each subway station is like a concentrated small world. I come from Asia, so what I’m doing is kind of what American culture looks like in a foreigner’s eyes. Second, “Selfie” has become a very popular and common phenomenon in today’s society, especially among young people. I create this series to capture this unique feature of our times, and to highlight some underlying issues of this phenomenon on the other hand. Jiannan Wu: New York Academy of Art provides plenty of sources such as practical courses, lectures given by great instructors and guest artists, both traditional and up-to-date academic knowledge, and so on. It not only treated me as an art student, it also taught and helped me to transform from a student into a professional artist. It also offers a platform for me to display my works in the art market through an array of activities such as exhibitions, open studios, auctions, and more. “Lost” (2016). Courtesy of the artist. 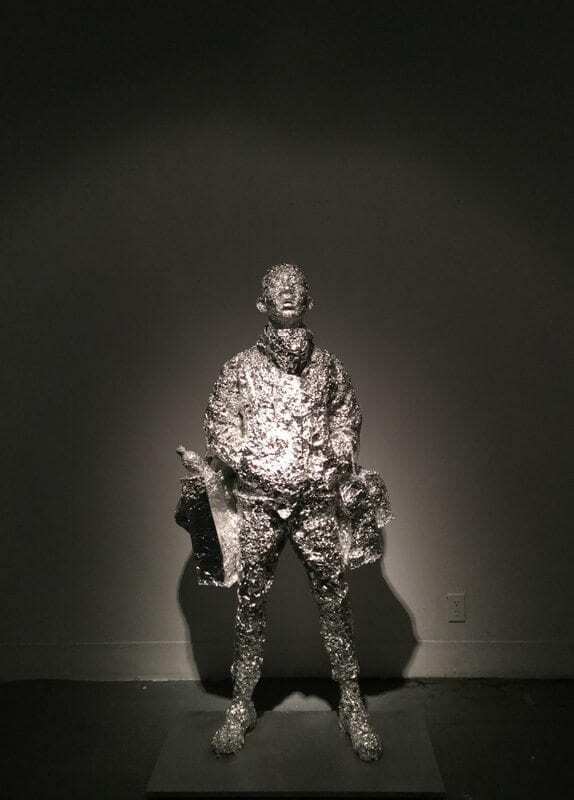 Jiannan Wu: For the following five years, I will continue to work with sculptures. “Subway” and “Selfie” will still be the two main themes. I hope to hold a few solo exhibitions and participate in some significant art fairs in Miami and New York to display my work to more viewers and gain broader recognition. Jiannan Wu: Art creation has been twisted with my life, and I don’t think there is any ultimate goal of my work. I will keep creating work that expresses my thoughts and communicates with the world. Jiannan Wu: This website is a great platform to display artworks. In addition, it has many categories and detailed functions which contains numerous info sections like exhibitions, awards, galleries, working experience and so on. So it works like a personal website in this aspect. Meanwhile, it also provides some job-hunting functions and open calls opportunities. In sum, this website is multifunctional, integrated, useful, and an overall great platform for artists. To learn more about Jiannan Wu’s work, visit his Orangenius profile.